Fuel consumption is strongly influenced by the behaviour of the driver behind the wheel. A less aggressive driving style will determine lower fuel costs, but also decrease the threats to the safety of the driver, of the road users and of the vehicle. 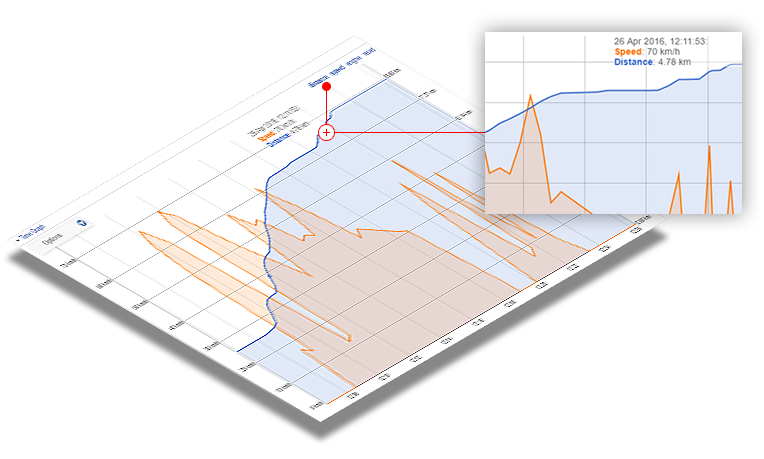 Thanks to the SafeFleet system used to monitor the drivers’ behaviour you can see in real time and assess the behaviour of each driver and the performances at fleet level. This function allows you to measure the time spent with the vehicle in stationary mode with the engine running. You can set a stationary limit and you will receive notifications whenever a vehicle is in unjustified stationary mode. By using such information, you will be able to identify and correct the behaviour of drivers who cause unnecessary fuel related expenditures.orecta comportamentul șoferilor care produc cheltuieli inutile de carburant. This solution allows you to get information about exceeding the speed limit in two ways. You can either set a general threshold for the vehicle, regardless of the road segment being travelled or you can set specific thresholds for each road segment. The app takes over the speed limits for each segment and displays all cases of exceeding the speed limit according to the settings made. The information obtained is useful for correcting behaviours which pose a threat to the safety on the road and for reducing fuel consumption. 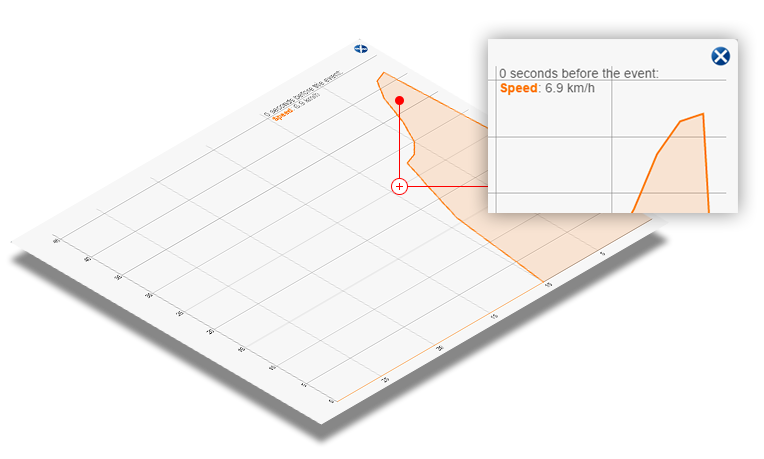 The forces applied on the brakes or the accelerator exceeding the normal values are calculated according to the speed variation over a couple of seconds. 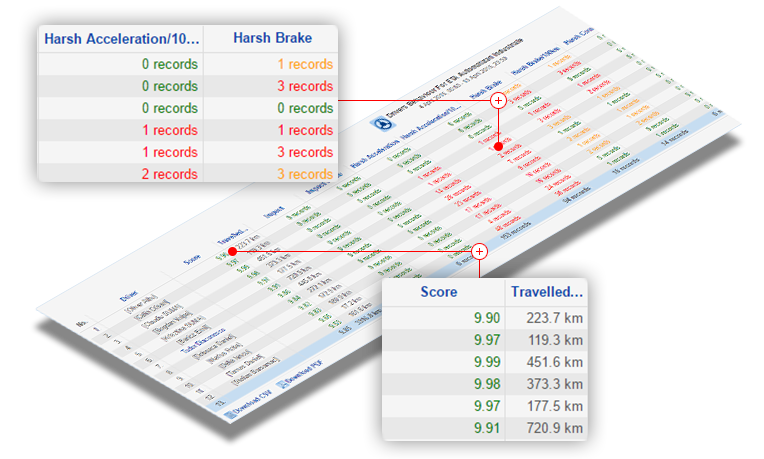 Thanks to the recorded data you can find out whether the driver avoided a collision or accelerated without reason. Such data warn you about the wasteful consumption of fuel, the increased risk of accidents, the accelerated wear of the vehicle and environmental pollution. 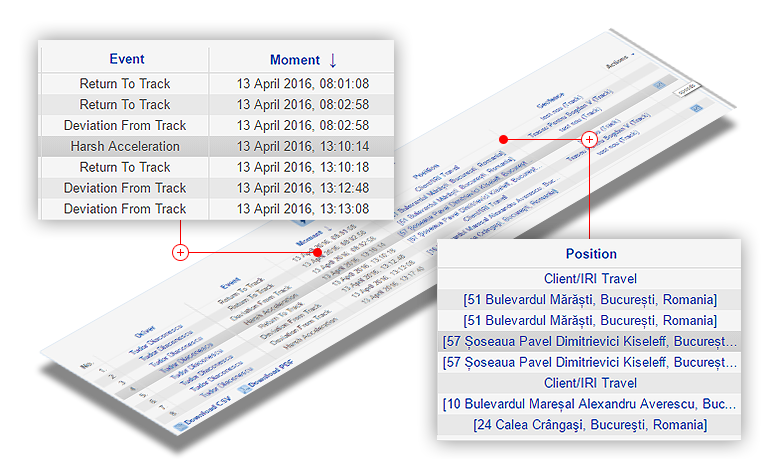 This function allows you to keep a record of the accidents caused with the vehicles in the fleet and of the drivers who were involved in such events. If you look at the information you can identify tendencies in the behaviour of the drivers, and through notifications sent online, via email and text messages you can take quick measures in order to reduce the number and severity of the incidents.